How Netflix and Cineworld annoyed me in one night! I’m a huge fan of both Netflix and Cineworld. Netflix is a great service for old tv shows and original content. 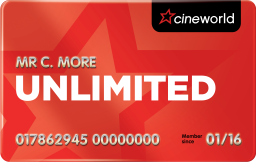 Cineworld makes going to the cinema both easy and affordable with their Unlimited Card. I even get to see a couple of films before their release in the next two weeks (Creed and Room). Last night, both companies, within the same half hour period, managed to infuriate me. It started with Netflix. I have been slowly and surely getting through Heroes. Heroes: Reborn rekindled my interest and I have been introducing my Wife to the show. We were both watching it together which meant I couldn’t quite binge in the same way I usually would. We had got halfway through season 3 when, to my horror, as I tried to load up the next episode, it had disappeared! Netflix could have warned me the show was expiring! It soon became apparent that Heroes has expired on Netflix. There was no way you could actually see that on either of the Netflix enabled devices I use though! No “expires soon,” “watch by” or anything similar. It meant that I thought I had plenty of time to get the series completed but now have no way of finishing it (legally). Why don’t Netflix warn their subscribers which shows are expiring? Sky have this service on their OnDemand content, stating when it will be deleted. I can’t see any reason not to let their subscribers know, particularly if they are clearly halfway through the show! While dealing with the fact that I’d seemingly wasted time trying to rewatch the series, my brother-in-law messages me about the announcement that Cineworld will not be showing Quentin Tarantino’s Hateful 8. They are being very shady as to why but with some light investigation it has come down to two possible reasons; the format or a screening conflict. Tarantino shot Hateful 8 in 70mm and this is an older style of filming. I don’t know enough about cinemas to know whether you need to change anything to carry this format but it seems it has made a difference as the Curzon cinema chain stated this as their reason for not showing the movie. There is another reason. The distributor for Hateful 8 decided to go with rivals Odeon in London’s Leicester Square to screen Hateful 8 rather than Cineworld’s Picturehouse Central. They put this down, again, to the format and needing the biggest possible screen. After negotiation, it seems Cineworld, having lost out in London, have decided to forgo showing the movie in any of their screens. A bold and ridiculous decision. Maybe we could blame Tarantino for this. It is his decision to use an arguably outdated form to film his movie but that doesn’t seem to have stopped any of the other major chains in the UK of showing the film. Cineworld, who were planning to show the film, placing it on their “upcoming movies” on their website and having a huge poster in my local Cineworld, have done a U-Turn and are now depriving their loyal customers; The Unlimited Card holders. I could go to another cinema to watch the movie but it is the principle. I pay to see an unlimited amount of movies at Cineworld. I am lucky enough to live within ten minutes of two Cineworlds! I shouldn’t then have to hunt out another, rival cinema chain to watch what is arguably one of the bigger movies of the first part of the year. Overall, two of the companies I have a lot of faith in have let me down. Netflix can and should clearly alter their policy on letting their customers know when shows and movies are expiring, clearly stating it as part of the information. 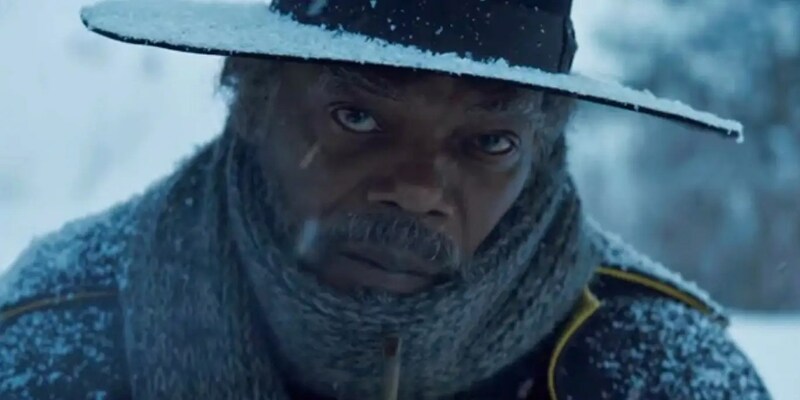 Cineworld should swallow their pride and show what is supposed to be a Quentin Tarantino “masterpiece” and not deprive their Unlimited customers who pay to see the latest and biggest releases at their cinema chain. Guess I’ll wait for the Blu-Ray release! No hateful 8! Boo to Cinweorld! Ridiculous! I started re-watching 24 over Christmas and when I fired up an episode with about 2 weeks to go, it did pop up with a ‘Program will expire on 5th January’ note. I only just noticed it as it was on the top-left, under the program/episode name. Can see why it’s easy to miss, and annoying that it only gave one warning. Ah, I’ll have to have a look. Would be worth it being on there all the time though. Thanks. Guess I’ll just wait until it’s released on the Demand services.